I’m pulling my hair out. We recently moved and I have to say that I’m not that crazy about this home because it’s so open. You walk in and there’s a large foyer entry and then the stair case. To the left is a living room and the right is the dining room and then off of the large entry is the family room! That’s five different area rugs I’ll be needing! Okay, well… it’s not five. It’s four. My grandmother passed away recently and my mom inherited this amazing antique Persian Meshad rug from circa 1920. She doesn’t want it because it’s not her taste, but I love it, so she’s giving it to me. It’s appraised for 35 large! Anyway, it’ll look smashing in my large entry, but then what? Oh, and just so you know, my husband and I are NOT wealthy. We’re more in the 1,500-3,000 range for an area rug– 4,000 tops. Do any of your other readers have this problem? If so, I would be grateful if you could share a solution. It’s a good thing Meghan is not real because if she was real, I’d probably slap her across the room. Such problems! Silly (poor?) girl. Yes, I’m jealous, (of my made-up character) but okay. The basic problem is one I do hear about a lot. And today, I’m going to address it with numerous examples of how to put 5 different area rugs together when they are all visible to each other. First, I need a house to demonstrate. Okay, not quite that many, but a lot. They have everything from very modest and tiny cottages to huge disgustingly ostentatious mansions. And some of them have the most bizarre floor plans too! But that is a different post. And then I came across this cutie-pie. I have nicknamed it the Parthenon – haha! Oh, don’t get me wrong. I love columns. Make no mistake, but twenty-eight 14-foot Corinthian columns is grotesque just a tad too much in my opinion. Still… I LOVE the house and the layout! Classical, indeed! We have a front-to-back center hall with an octagonal rotunda, three formal rooms and then a staircase smack dab in the middle of it all. It’s not 100% open. There are some walls between the kitchen and family room. Having a jumping off place with the area rugs makes life a lot easier unless we have something else we’re using. The first thing I want to address is the front to back massively stunning center hall. I would leave the center rotunda area sans rug and do a beautiful inlay wood design, perhaps. 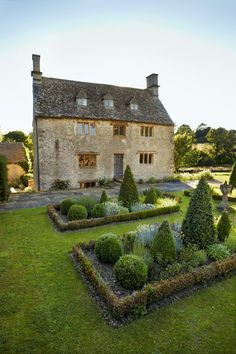 Nothing too ornate. Having trouble finding something like I have in mind, but either a simple parquet design or maybe even a stencil. We must keep in mind the other rugs as it plays a part as well. And please, you are welcome to disagree with me, but 98% of the time, I am not fond of round rugs. Ever see an antique round rug? If so, it is probably not an antique. (I’m leaving out the Oval Office. That’s one of the exceptions) I do love square rugs, however. The other two arms of the hall should have twin runners. It is possible to find two antique runners. I found these on One King’s Lane except they’re sold. So, how do we choose the rest of the area rugs? 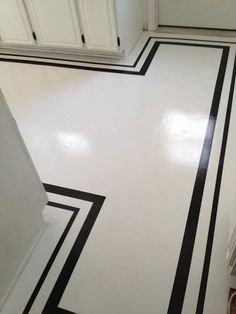 This particular home is inherently somewhat formal (gaudy columns aside), but one option is to leave certain areas of your floor bare; especially if it’s a true open-concept. But, one thing to do as in any collection is to group like with like. For instance, if we have an Oushak, we might consider a different Oushak using some of the same tones that coordinate, but don’t match in terms of pattern. The next area, I want to address is the staircase. In situations like this, I generally do something fairly plain so it doesn’t fight with the stars of the show! Today, I’m going with this cool Moroccan inspired pattern by Madeline Weinrib. It comes as a flatweave area rug but could be fabricated into an a custom-stair-runner. The rug in the family room is a favorite of mine from Currey & Company. Yes! They have gorgeous area rugs–not just lighting. In this version, I changed out the runners and the dining room rug. I love this tone-on-tone blue rug from Williams-Sonoma Home. That is a plain sea-grass rug in the family room. I’m quite mad about this one! We could also do a warm red, gold and blue color scheme. The family room is a smaller area rug layered over sea-grass. Of course, we could also just have the sea-grass without the Oriental layered on top. 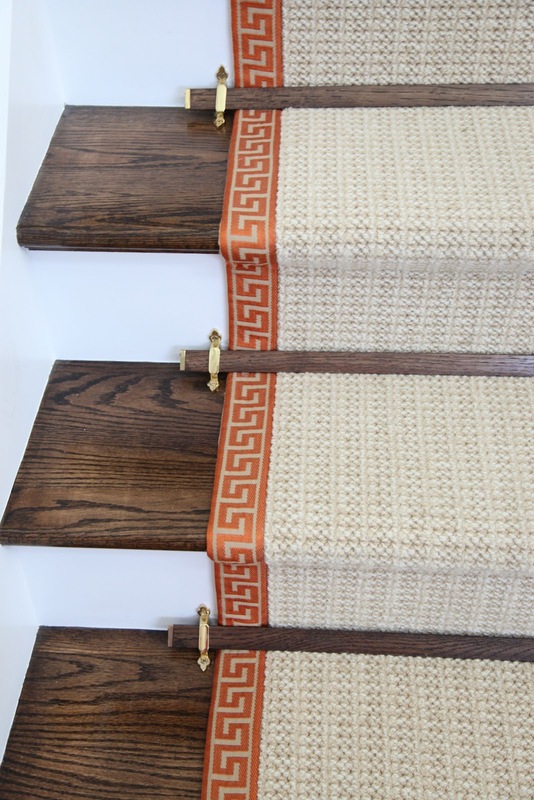 How smashing would this stair runner be in our red beige and gold scheme! I love how this one blends warm with the cool of the tone on tone dark blue which looks a lot like the one from William’s Sonoma but this one is from Madeline Weinrib again. It is from Madeline’s Wool Tibetan collection which is gorgeous but a lot more pricey than the cotton flat-weaves. Layer a small Oriental over a larger sea-grass rug if the former isn’t large enough for the room. Such a fun and interesting post! I love your blog! I need to find a new rug for our dining room and have been hunting online. Hard to do with rugs but I like some on Overstock which is my budget. They have a good sale right now. I just wanted to ask what you thought about black vs. cream rugs in a room? I am the one that painted my dining room BM Mayonnaise with Cottonballs on trim and below chair rail(love it btw). 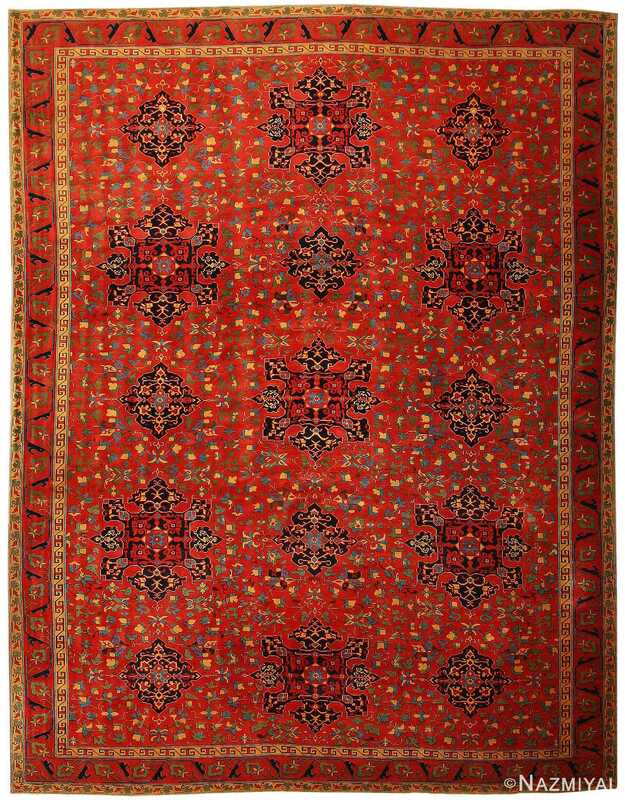 No, a soumak is much more like a Kilim but is reversible. Laurel, I appreciate your timely post. I am facing a similar dilemma and I was actually considering writing to you when your flooring post popped up. I inherited a beautiful statement piece light fixture from my aunt. It was purchased in Mexico in the 1970’s. It has elaborate metalwork and stained glass the color of sunset. It is the first thing you see walking in the front door of our house. It makes me happy every time I see it. 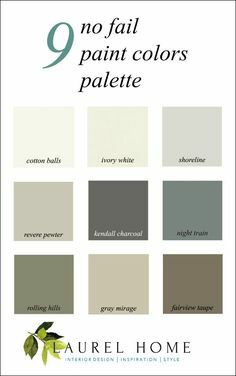 Love your site, found it when I was researching paint colors for our new condo. Which unfortunately flooded 2 weeks ago after our renovation…new flooring going in today. Loved these rugs…my 2 rugs are being dried out right now….do you recommend padding under your area rugs?? What type?? I have a solution but I’m not telling you. I think it was on your site that I read that you wanted to know where to find the ceiling tracks that you can put sheer curtains on. I found what you’re referring to I think at IKEA. I had these kind of tracks/sheers when we lived in Germany and have wanted them ever since, but I think I’ve found out where to get them now. Check out VIDGA. Hi Laurel = Like so many of your fans, I smile when I see an email from you describing your made up person’s dilemma. Love everyone of the looks for the oriental rugs. In my day when I was purchasing oriental rugs, I learned if purchasing a new one, pay the price as the cheap ones shed forever. I think you could make a coat out of all the wool fur all over the floors. I also put an oriental unner in my kitchen. Never could hurt it. Thin pile and when it got a little funky, I would take it outside and hose it off and let it dry. After all, it came from sheep and they get wet. You are a delight and so helpful with a willing heart. I’m 74 years old, still working and a boho at heart and my home reflects this. I bet you have an incredibly charming home! And my mom worked until she was 92. She would’ve kept on but her brain isn’t cooperating. She’ll be 94 in October. I love every rug … I want them all! I especially like the muted tones, they are beautiful. As I’m in the midst of decorating my home there (unfortunately) comes a time when one must say “Ok Betty enough is enough, you don’t have to do it all at once.” So I pick my battles very carefully. I can’t wait to see that website, maybe there is a Shotgun house lurking there somewhere. They have thousands of houseplans so most likely. Hi Laurel, love this post. I am addicted to your wonderful blog posts. Followed you years ago and then re-remembered you after listening to your Million Dollar Decorating interview. I am struggling to find a 9×12 rug for my living room that looks expensive but doesn’t cost more than $2500 canadian (about $2000 USD). Sadly I can’t get that weighty silky hand-knotted look (like in the very last photo – those are expensive rugs!!) and don’t like the Pottery Barn style variations. So I will probably get something in wool carpet cut to size and bound. Also hard as I already have all my furniture and decor done, so thinking a small overall pattern. Do you have any favourite carpet vendors thatI might be able to find here in Calgary (Canada)? Would love a Stark rug but would probably have to work with a designer to find and that would cost me more $$$ I’d rather spend on a rug! Please see my response to Heather. And I’m so glad that it is helpful! A voice told me to branch out with the color palette because not everyone wants to do blue and gray. I don’t have a rug yet. They’re too beautiful. In order to choose the one, you need to forget the others. Much like falling in love I guess. Also, there’s lot of charm in waiting)) While you wait, you dream.. The expensive rugs (antiques aside) are hand-knotted and hand-made usually in India or China but some from other eastern countries. To be frank, I’ve always found it to be the smarmy end of the business. It’s the bartering mentality. These days, because of the internet, they can’t get away with that sort of nonsense. When ordering online, make sure that you have the option to return it if it’s not right for you. I’m with you on the comment issue. There were some blogs that I used to comment on and never got a response and no one else did either. So, I vowed that I wouldn’t do that to people. Besides, your comments make my day! I’ve often done broadloom to make custom area rugs. Usually, it’s when we need an odd size or it’s the preference of the client. I had a client once and the broadloom we did for the stairs had to be the same as the area rug in front of the front door. No, it’s not my preference, but it’s not my home either! Last night I just finished your 20 funniest… I had to space them out to savour them. Just too funny, but also informative. I always get happy the minute I see something from you in my email. But humour aside, I am learning so much and have a prettier home environment thanks to you…. thank you!! Yes, that’s Peaches on the bed. I miss his little puddle of warm fur terribly. Hi Laurel…what a fabulous post. You probably spent the total of a day researching and creating this. Great ideas, as always, and I love the links you shared. I mostly have natural rugs (seagrass etc) in my home because I have a lot going on on my walls (Venetian plaster, a mural, cinnamon toned plaster etc). I’m a decorative painter – can’t help myself! In my living room, I catty cornered my baby grand piano one one side…and in the opposite dude I catty corned the sofa. Behind the sofa, I have a Chinoiserie mural. I’ve always been a bit stumped on which rugs to place in here. I’ve angled a pale Oriental by the sofa and left the area by the piano bare (just showing the wood). It’s OK. I can’t go crazy with the color/pattern with the rug because my sofa is quite colorful…a cinnamon tone with coral and green florals (mural colors blend nicely with this!) I am now thinking of pumping up the look a bit. Maybe an off white area rug (or short shag)…but what to do by the piano? An off white cowhide rug maybe? Or do I just do a rug the covers the whole area? Thanks so much Linda. It was more than one day, but lots of fun! great post. since I don’t blog I have often wondered how much time you invest in research and posting, its seems like it must be a lot of work so thank you! Some of these posts take a ridiculous number of hours. It’s true, but usually, it’s a lot of fun and this one in particular was a terrific creativity massage. Your response reminded me of what Suzi Ormond has always said about daily trips to Starbucks and how most of us fritter away our hard-earned money instead of putting it to better use. My philosophy has always been to buy what one truly loves and buy quality, so it won’t end up at a yard sale. Of course, we all make mistakes. I’ve made more than I can count. What a terrific post. I don’t know how you did this, but it is amazing.